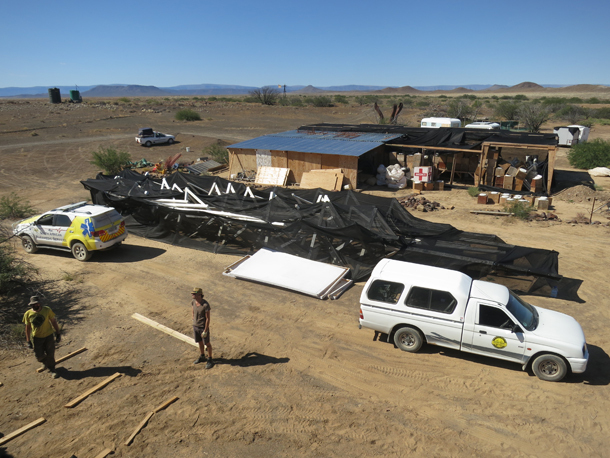 I’ve just returned from 4 days of volunteer demarcation on the AfrikaBurn site in the most amazing Tankwa Karoo. And wow, I take my hat off to the team who arrived today and who will be there for 8 weeks. 8 WEEKS people! Demarcation is the mapping out of the land, creating the roads, spaces for theme camps, art and general camping. We lay down an abundance of ribbon and plenty of nails to demarcate. 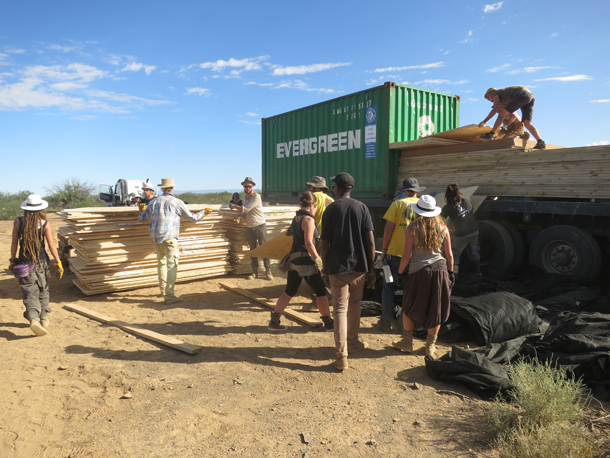 This is where you’ll make ‘home’ for the week during AfrikaBurn. It was pretty hard and taxing on the body, and after four days we were not nearly finished but our bodies felt like it. 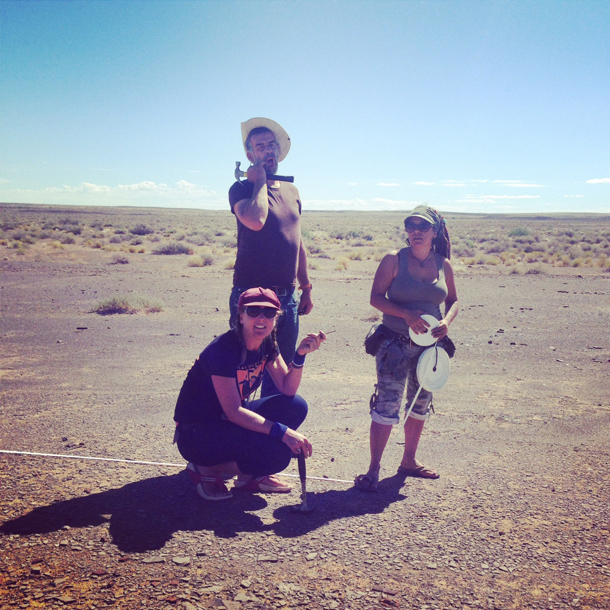 We were out in the heat all day, hammering nails into the lovely hard ground, and walking the space over and over again. And as the event’s only two shorts weeks away, we were on a tight schedule. There are already a couple of crews out there building their amazing sculptures, among them Subterrafuge (please support if you can). The Clan was finished on Friday and is looking epic – thank you Clan Team! While we were about to leave for Cape Town, about 25 DPW (Department of Public Works) crew arrived on site – and they’ll be out there for up to 2 months. They’re the ones who make it home for us when we head out to Tankwa in 3 weeks time. 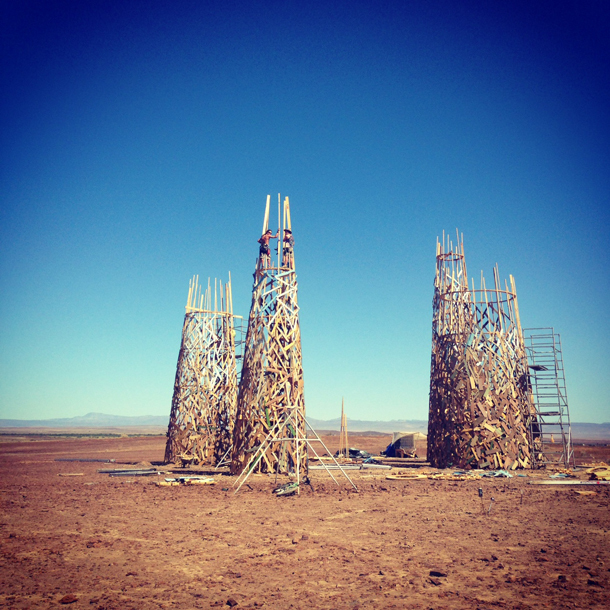 There’s a lot that goes on behind the scenes of AfrikaBurn that people don’t know about. The complaints about the expensive tickets really need to be curbed. If you can’t afford it and have issues with how things are run then get involved – the organisation is so open and so welcoming to volunteers and some volunteer positions become paid positions over time. 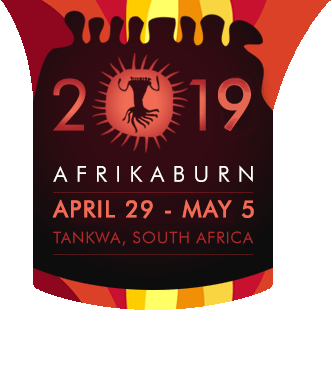 I was discussing with one of the crew up on the weekend about the ‘inclusive’ issue that is constantly being thrown in AfrikaBurn’s face, i.e: that the burn is super exclusive as you have to be wealthy to attend. Did you know that there are special programs for burners who can’t afford to attend? Did you know that there are big Outreach initiatives run by the organisation, year-round? Do you know you can view all the financials online? It’s true – they’re here. But back to DPW. The kitchen is another story altogether – imagine cooking in the desert elements for 30 – 40 people, breakfast, lunch and dinner everyday for 8 weeks. These people have passion and stamina and make delicious food. It’s hard work cooking for a lot of people, so imagine how tough it can be cooking out in the middle of nowhere. It takes a lot for our DPW to get it all ready for us. So give thanks, and don’t hassle them for hammers or other tools at the burn – be self reliant and bring your own. And please remember not to MOOP please, this causes our volunteer and DPW crew to spend an extra week or two out there, picking up tiny pieces of your rubbish. Read the 11 Principles, get excited and come have have a magical time at AfrikaBurn 2014 Trickster! p.s: sign up to volunteer on site, it’s fun!